Lilllian is Contributing Food & Wine Editor at Elegant Accents Magazine and Editor-in-Chief of SpaReviewMag.com. She is also the author of 16 books, including three best-selling novels (under the pseudonym “Jessica March”) and a business guide to the Middle East that was named “best of its kind” by the Good Book Guide (London). She co-authored the 9th edition of Off the Beaten Track guide to New York (Globe Pequot), as well as You Know You're in New Jersey When... (Globe Pequot) and two editions of The Insiders Guide to the Jersey Shore (Globe Pequot). Her articles have appeared in Smithsonian Magazine (online), New York Magazine, the New York Post, the New York Times and several inflight publications. Lillian is Past President of the Society of American Travel Writers; Past President of the International Food, Wine & Travel Writers Association and a member of the Authors Guild and the American Society of Journalists & Authors. Currently, she serves as a member of the Industry Advisory Board, New York Times Travel Show. I am a second generation travel industry professional and have spent my entire 35 year career in tourism. My educational background includes a BS Degree for Hotel Administration and a BA degree in History. I’m currently working on a Master Degree in Hospitality Administration at the University of Nevada, Las Vegas. During my long career I have worked for hotels, DMC’s, and tour operators as well as having owned various travel companies in Nevada, including a retail travel agency and Nevada’s only airline ticket consolidator. My professional and leisure travels have taken me to over 300 cities and 40 countries worldwide. Maxine writes the ‘Absolute Luxury’ column for JaxFax, scouting the globe for the new, the hot, the best of the best in ‘experiential luxury’. She has written about Australia’s Great Barrier Reef, Tahiti's turquoise lagoons, the ravishing Maldives, maharajahs palaces of India, the great migration in Tanzania’s Serengeti, luxury yachting in the Galapagos, the healing springs of Italy, the top spas in China and Thailand and the best of Paris, among other destinations. Maxine was a lifestyle columnist for Elle, has been featured in Glamour, WW Daily, The Wall Street Journal, Business Insider, Black Book, Global Traveler, Resident Magazine and has appeared on CNN. In addition to her luxury column for JaxFax, she is a regular contributor to Bella New York Magazine, Bella LA Magazine, The Huffington Post and The Washington Times. New York-based Maria Lisella counts more than 25 years of reporting about the travel industry for the travel trade. Her writing has appeared in the Dubai-based Destinations of the World, Travel Agent Magazine, and Jax Fax, the Boston Herald, German Life, the New York Daily News, and Travel & Leisure. A former columnist for the Newark Star Ledger and Diversion magazine, her corporate client list includes American Express, the European Travel Commission, Pestana Hotels & Resorts, among others. Barbara has been a writer and editor since college days in Boston. After working as a speechwriter for Congressmen and Senators in Washington, she moved to fulltime freelance writing on subjects ranging from travel to food and folk arts. Local foods and the arts are still a major focus of her travel articles, and she is the co-author of more than 30 guidebooks to Italy, Portugal, Spain, Germany, Scandinavia, Canada and the northeastern United States, the most recent of which are to the islands of Tenerife and Sardinia. 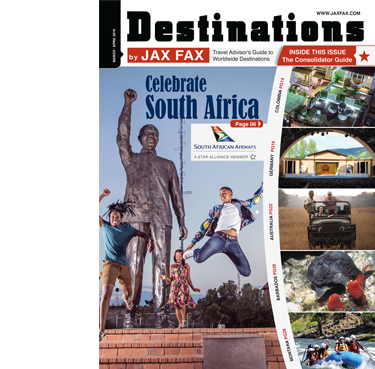 Along with her articles for JaxFax, Barbara is currently published in Global Traveler Magazine, The Boston Globe, Suite101.com (Southern Europe Feature Writer), BellaOnline.com (Luxury Travel Editor) and New Hampshire Magazine. Stillman is a travel writer and photographer who specializes in fully-illustrated guidebooks, as well as articles on his favorite travel experiences, especially skiing, kayaking, hiking and historical/cultural subjects. His guidebooks cover destinations from New England to Italy, by way of Canada’s Atlantic provinces, Portugal, the Canary Islands and several cities in northern Europe. 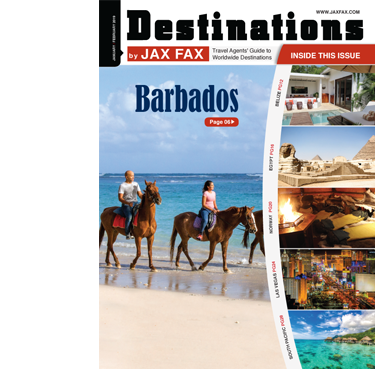 In addition to his books and his articles and photos for JaxFax, Stillman covers worldwide destinations as the Boston Getaways Examiner for Examiner.com and a Contributing Writer for Suite101.com. His articles and photos have appeared in a number of newspaper travel sections, including the Columbus Post and Los Angeles Times. He is a member of the Society of American Travel Writers and North American Snow Sports Journalists. Marian has traveled extensively in Asia and previously served for 11 years as the PR Manager for the Japan National Tourism Organization in the Americas. Prior to joining JNTO, Marian headed the editorial team at Personal Travel Technologies, worked as a Production Researcher and then a Producer at the Travel Channel. She moved on from the Travel Channel to become Marketing Supervisor at Trans World Airlines and was also a founding editor of the Educated Traveler newsletter , contributing editor to Transitions Abroad magazine, and the author of the Americas volume of the World Tourism Directory. Marian Goldberg has been writing about travel since 1987, when, while a graduate student in travel and tourism management, she was editor of the Travel & Tourism Research Association’s New York Chapter newsletter. She has also contributed to publications in Asia and Australia, and was a 2009 judge of the Seoul Tourism Awards in Seoul, Korea. Prof. Barry Goldsmith is a professor of architecture and humor who has been to over 100 countries and has lectured on architecture, travel and culture in many of them. 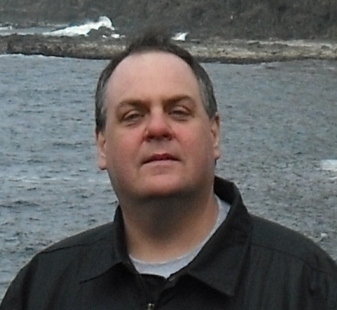 Prof. Goldsmith has written comedy for television including THE JOAN RIVERS SHOW. He leads press trips for the experts: Government tourist boards, airlines and international hotel chains. Prof. Goldsmith has appeared on television around the world. He leads commercial tours based on his television series.